*** Included services: Licenced tour guide, transport by car / minibus. *** Tour duration / distance: aprox 8 hours/ 200km round-trip. Upon request! we can customise the tour and we can add other spots like: Cacica salt mine, Suceava fortress and Village Museum. Start from SUCEAVA or GURA HUMORULUI at 09.00am, this tour is covering 200 km scenic trip where you will discover other UNESCO heritage and get back at 05.00pm. 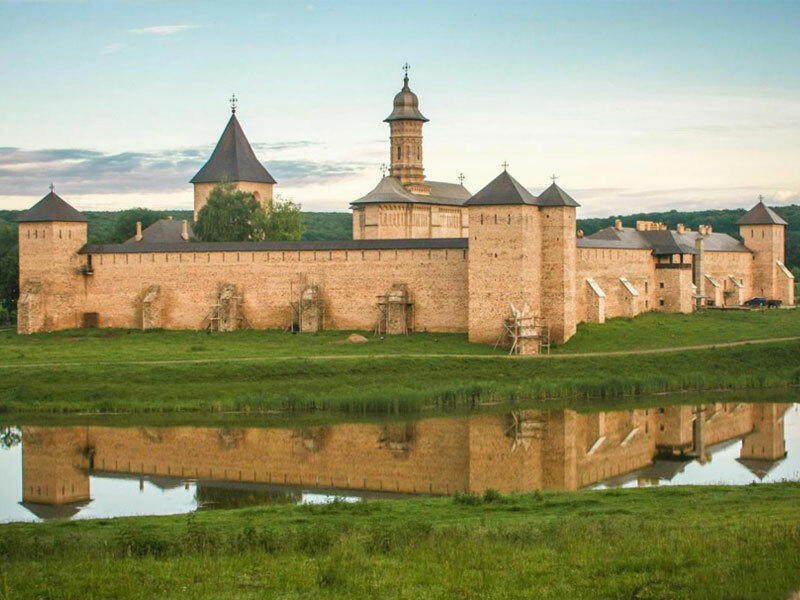 We’ll start with Dragomirna Monastery (1609) was built in a marvelous area, close to the forest, beyond the village of Mitocul Dragomirnei. Conceived to be tall (42m) - highest church in Moldavia and narrow (9,6m), with thepolygonal apse from West, the church impresses by its monumental allure. After that we’ll drive to the nearby Patrauti Church. This church leaves Stephan the Great in 1487, the smallest of all them construction monastic, and the single one intended to be a monastery of éclairs, and one hearth for the soldiers wounded with the combat. Original interior painting, of a high artistic value, is done to notice by the scene "of the lamentation" (naos), the "Cavalcade of Holy Cross "(pronaos), expression of the feelings and the actions anti - Ottoman of the time. A round stone represents "the Table of Stephan the Great" and the bell "knows" to dissipate the clouds which bring hail. 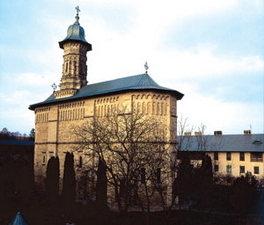 Then passing through Radauti town, we'll reach the Putna Monastery. 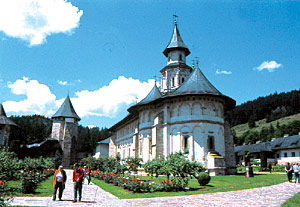 The beginnings of Putna Monastery, the most important religious, cultural and artistic centre in medieval Moldavia, take us back to the year 1466 when, upon the initiative of Prince Stephen the Great (1457-1504), a church of impressive dimensions was built on a patch of forest cleared for the purpose. 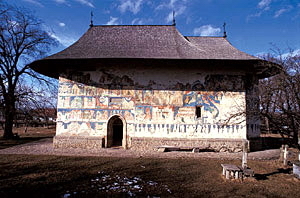 In the Putna monastery, is found the tomb ofking Stephen the Great and several of his family members. His tomb became a place of pilgrimage. 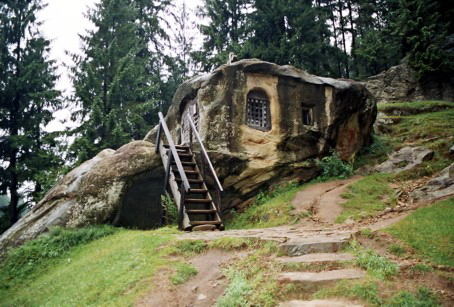 Nearby to monastery can see the Hermitage of Daniel who was the confessor of Stefan the Great. Driving back the next stop we’ll be at the Arbore Church (1503). It has remarkable fresco exterior and interior paintings against a predominant green background.. The green is in five shadows and 47 hues combined with red, blue, yellow, pink and ochre. The secret of combining colors was kept by Moldavian master painters to their grave, and is now lost in the mist of time. However, scientists were able to identify thirty substances, including animal size, vinegar, egg, gall and honey. 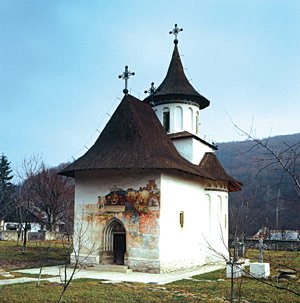 The two heavy slabs of stone preserved near the church since the time it was painted have fifteen small holes which used to serve as containers for the mixing of colors, thus providing the large display of shades used by Moldavian painters.